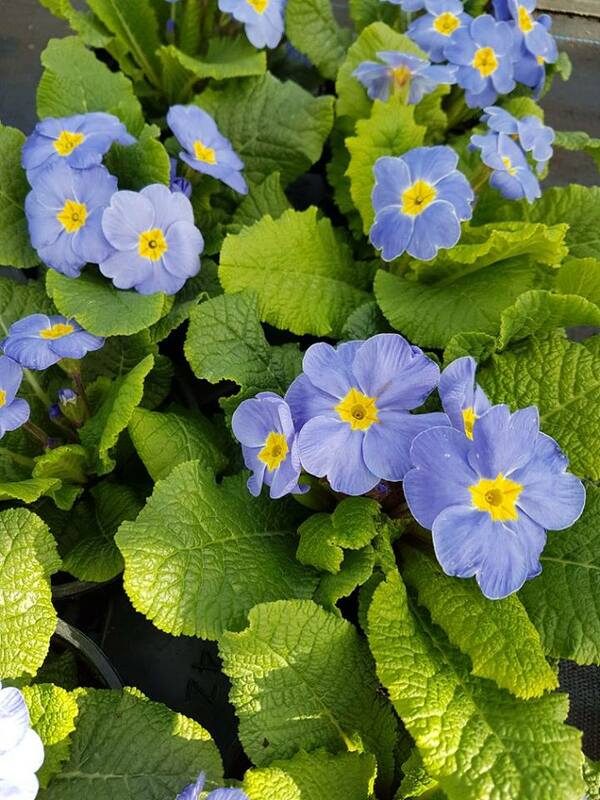 Primrose Pale Blue – are exuberant in their flowering, often fragrant, have a very long flowering period and an enormous colour range, including bi-colours and many dusted with silver. Florence Bellis began working on the Barnhaven double primroses in the 1950’s after finding a few specks of pollen clinging to the petals of the old variety ‘Marie Crousse’, and this exciting adventure has continued ever since with each successor of Barnhaven. Double primroses don’t carry seed and have very little pollen and therefore necessitate a complicated breeding programme. Each crop takes 2 seasons of hand pollination to produce and then the proportion of double seedlings over thewhole crop is roughly 25%. It is incredibly labour intensive but you should see our faces in the nursery when the first seedlings begin to flower… Probably the most rewarding part of our breeding work.